An economic indicator is a statistic about an economic activity. 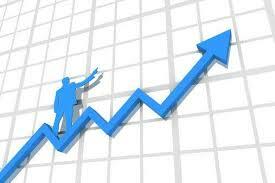 Economic indicators allow analysis of economic performance and predictions of future performance. One application of economic indicators is the study of business cycles. Economic indicators include various indices, earnings reports, and economic summaries. GDP stands for gross domestic product. It’s the official measure of the total output of goods and services in the economy. The definition of GDP is as follows: it is the total market value of all final goods and services produced during a given time period within a nation’s domestic borders. 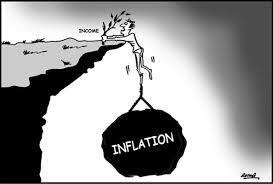 In economics inflation means, a rise in general level of prices of goods and services in a economy over a period of time. When the general price level rises, each unit of currency buys fewer goods and services. Thus, inflation results in loss of value of money. Another popular way of looking at inflation is “too much money chasing too few goods”. The last definition attributes the cause of inflation to monetary growth relative to the output / availability of goods and services in the economy. In case the price of say only one commodity rise sharply but prices of other commodities fall, it will not be termed as inflation. Similarly, in case due to rumors if the price of a commodity rise during the day itself, it will not be termed as inflation. The rate at which the RBI lends money to commercial banks is called repo rate. 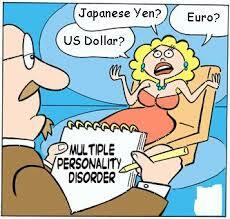 It is an instrument of monetary policy. Whenever banks have any shortage of funds they can borrow from the RBI. A reduction in the repo rate helps banks get money at a cheaper rate and vice versa. 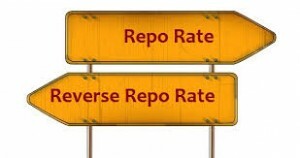 The repo rate in India is similar to the discount rate in the US. Cash reserve Ratio (CRR) is the amount of funds that the banks have to keep with the RBI. If the central bank decides to increase the CRR, the available amount with the banks comes down. The RBI uses the CRR to drain out excessive money from the system. Scheduled banks are required to maintain with the RBI an average cash balance, the amount of which shall not be less than 4% of the total of the Net Demand and Time Liabilities (NDTL), on a fortnightly basis. The Index of Industrial Production (IIP) is an abstract number or ratio which measures the growth of various sectors in the economy. 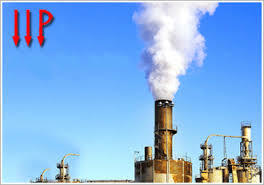 In India, IIP is a representative figure which measures the general level of Industrial activity in the country. Being an abstract number, it does not so Volume of activity and only shows the magnitude which represents the status of production in the industrial sector for a given period of time as compared to a reference period of time. IIP is released Monthly and this is partially due to the fact that the Annual Survey of Industries are released annually and a short term index is required for assessment of short term activities. The IIP is released by Central Statistical Organization.